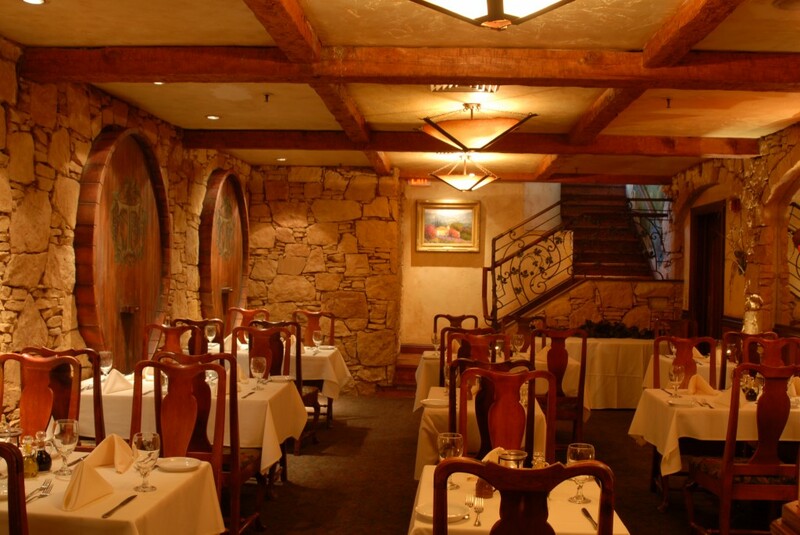 Tuscany’s Wine Cellar remains a favorite room for corporate events, personal parties, and regular dining for large groups. 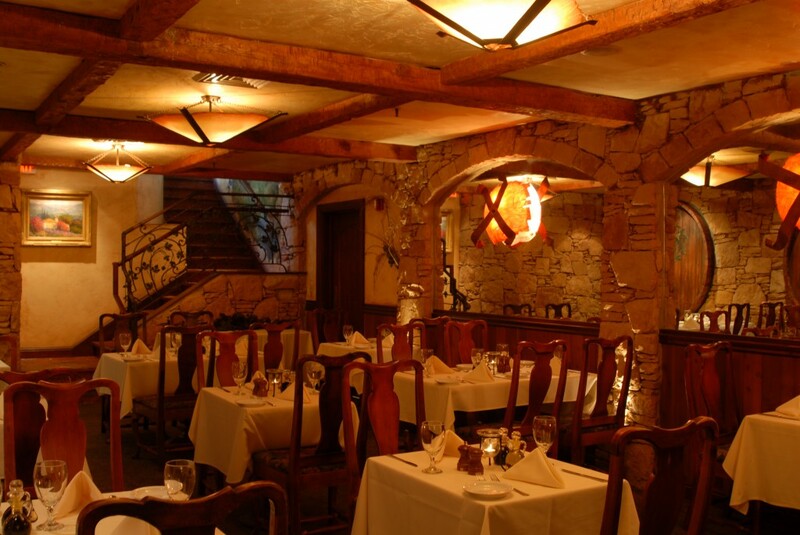 Along their way to the Wine Cellar dining area, guests pass under a pastoral wall mural and they descend a rustic, wooden stairway. 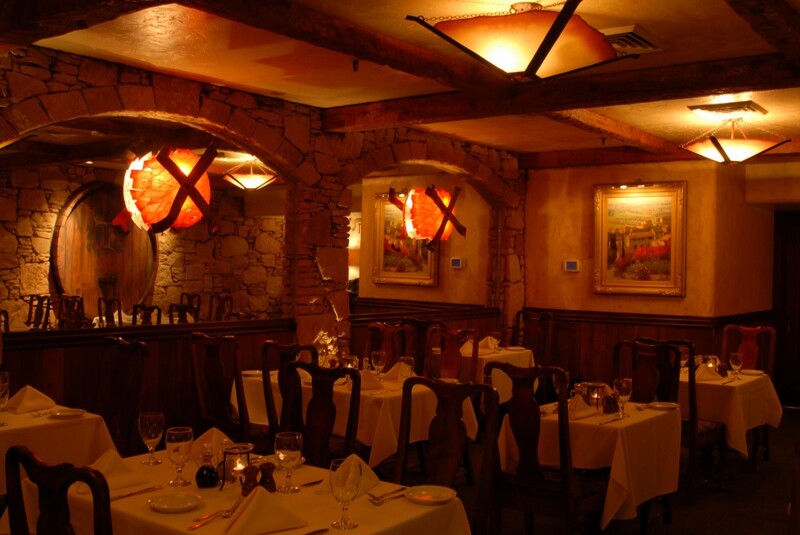 Seated amongst stone walls and massive, ornamental wine kegs, diners enjoy their meal surrounded by architecture hearkening to genuine Tuscan roots and character. 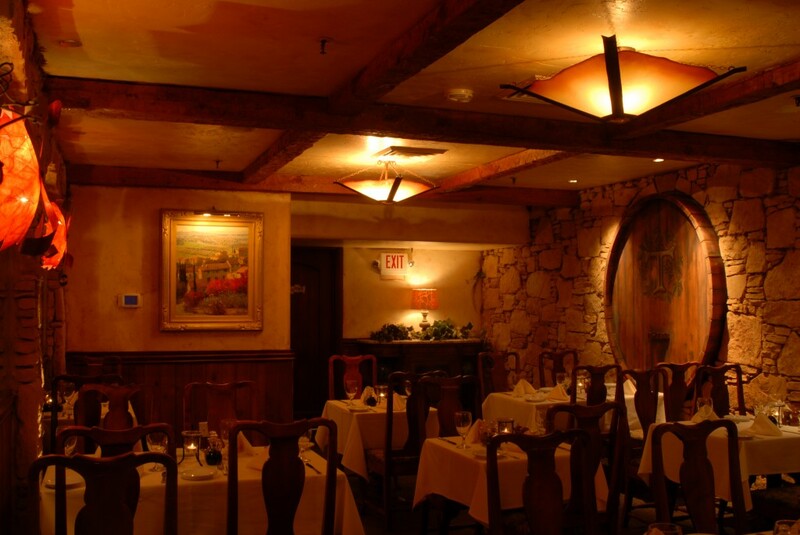 The Wine Cellar is located adjacent to Tuscany’s second kitchen, allowing for more personalized service. When hosting events, Tuscany staff will raise the wall partitions between the kitchen and dining area. This allows for a more spacious feel for large parties.